located in the Atacama desert, North of Chile. 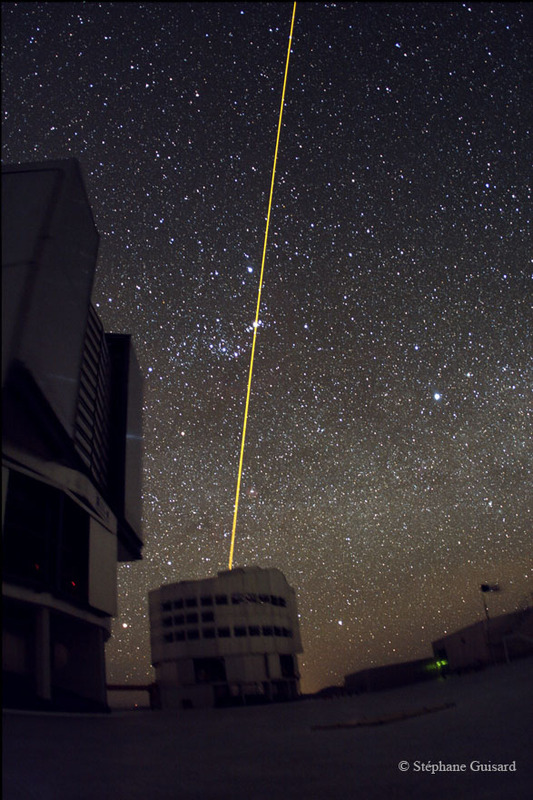 The yellow Laser beam visible on the images is generated in one of the dome by a small (50cm diameter) dedicated telescope and sent to the high atmosphere to produce, at an altitude of ~90 km, an artificial star. 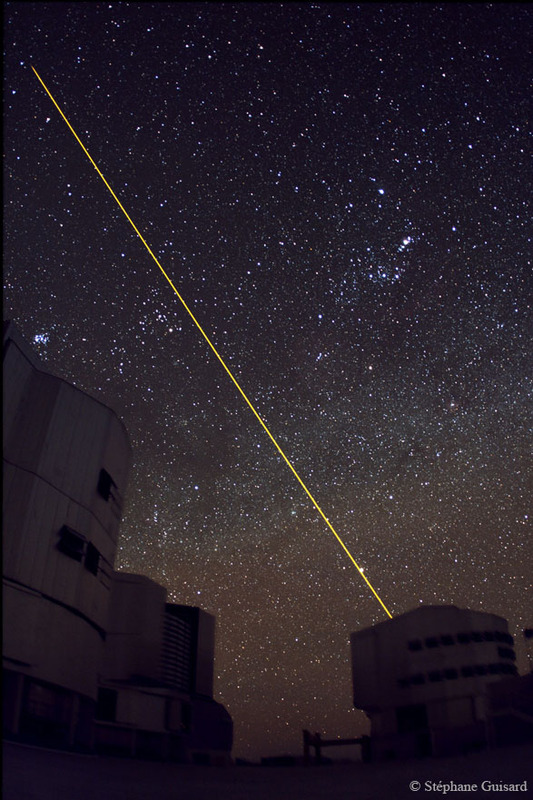 This star is then used by the main telescope (8m diameter mirror) Adaptive Optics system to measure and correct in real time the distorsions that the atmosphere produces on the images. The image below shows the Laser Beam launched from UT4 dome. The dome on the right is housing the VST (VLT Survey Telescope, 2.5m diameter). 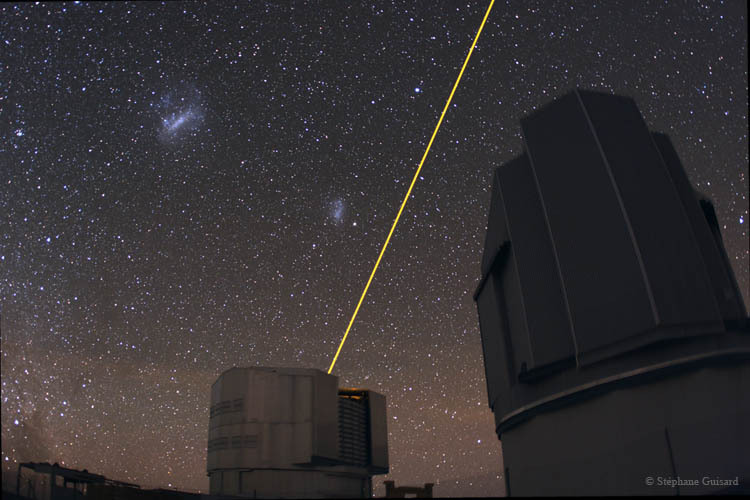 The Large and small Magellanic clouds are also visible on the top left of the Laser. The Laser Guide Star beam launched from UT4, the dome on the left is the one of UT2. The beam seems to cross Orion nebula, in Orion constellation just in the middle of the image. The bright star is Sirius. (small star cluster just above UT2 dome).